A smaller holiday cottage agency, with a good choice of holiday cottages. Originally promoting holiday cottages arounf Kent, Mulberry Cottages has now increased with holiday cottages all over the UK - although the majority of cottages are still in south east England. We've got some holiday cottages from Mulberry Cottages to tell you about here, or for the entire list of new cottages, you can see the new cottages from Mulberry Cottages below. The cottages can be found in various counties around the UK, with Kent, Hampshire, East Sussex, Dorset, West Yorkshire, Gloucestershire, Shropshire, Oxfordshire, Suffolk, Worcestershire, West Sussex, Herefordshire, Somerset, Essex, Wiltshire, Devon and Surrey all getting a mention. There is one holiday cottage to bring to your attention this week, and that cottage is: "Tew Farmhouse in Chipping Norton". 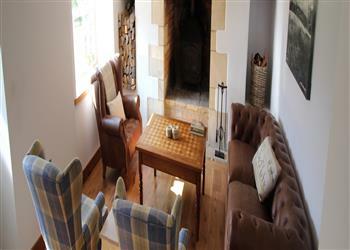 Tew Farmhouse in Chipping Norton - Tew Farmhouse in Chipping Norton sleeps 18 people. Tew Farmhouse is in the Cotswolds, and has its own hot tub. For the very latest in holiday cottages from Mulberry Cottages, have a look at our cottages which have recently been added page.